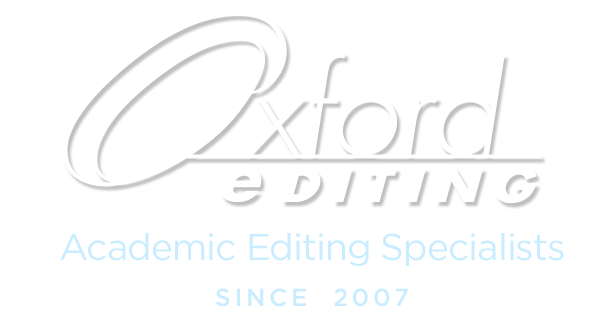 Oxford Editing offers each client a dedicated academic editor. 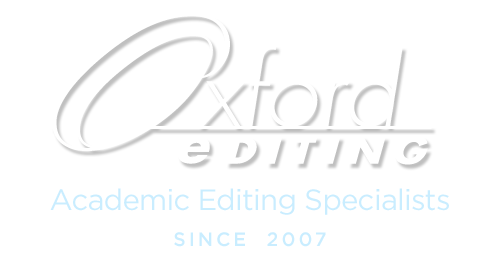 Oxford Editing offers professional academic editing services for English language manuscripts. We are a small company offering select expert editors. Our editors are all native English speakers, with solid editing and academic credentials. Some of our editors are retired from professional careers; others are dedicated, full-time editors who enjoy editing academic texts; while others are still active in their career as researchers or professors. Our editors have MAs, PhDs, JDs with one language specialist board certified as an Editor in the Life Sciences (ELS) by the Board of Editors in the Life Sciences (BELS). Editors with BAs specialized in the English language and have significant writing and editing experience. We find that generalist editors who specialize in academic editing generally make the best language editors and can best meet the needs of most of our clients. However, we do try to match you with an academic editor with at least general knowledge of your field. Our editors do have expertise in their own fields of study, for example, public health; colonial, Russian, and Ancient history; music; law; womens studies; life sciences; and material science. We can provide background information on our editors as needed. Please inquire. We can handle almost any academic discipline including the sciences, economics, medicine, the social sciences, humanities, and communications. Click here for a full list of academic subjects. Susan Hatch, the owner of Oxford Editing as of January 1, 2018, is your chief contact at Oxford Editing. She will pair you with the appropriate editor for your article, thesis, book, or book proposal and work to ensure that you are satisfied with the end result. 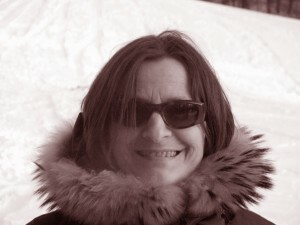 Susan began as managing editor of Oxford Editing in 2011 and has more than 20 years of editing and writing experience. She started her editing career in the Washington, DC, area, where she studied editing at George Washington University’s Publication Specialist Program. In the DC area, she wrote and edited for a nonprofit and edited for a Department of Defense contracting firm; in the Seattle area, she worked at Microsoft where she wrote technical texts and edited user education materials. Before switching to editing, Susan was a Classicist with a BA in Ancient Greek from Dickinson College and studied Ancient Greek and Latin at Bryn Mawr College Graduate School. She also taught Latin at the Shipley School in Bryn Mawr. She received an MA in teaching English as a second language (TESOL) from Seattle University. After receiving her MA in TESOL, she taught English to non-native English speaking adults at Renton Technical College and to private clients in the Seattle area, as well as to middle and high school students in the Saco, Maine, public school district. Susan has edited a wide variety of academic texts in subjects, ranging from the humanities to economics. She has also written and edited successful grant proposals in the arts (Boy Singers of Maine special event); in international development (Masimba, Mothers of Disabled Children small business development in Zimbabwe); and the humanities (an Inca archaeology project) for a National Geographic Society grant. Oxford Editing owner Susan Hatch Morgan in blinding snow in Maine. The late Dr. Matt J. Duffy founded Oxford Editing in 2007. Dr. Duffy earned his doctorate in Public Communication at Georgia State University in Atlanta in 2010. He received a master’s degree in journalism and mass communication from the Grady School of Journalism in Athens, Ga. His academic work was published in several peer-reviewed journals, including American Journalism, the Journal of Media Ethics, Newspaper Research Journal, and the Journal of Middle East Media. Wolters Kluwer published the update to Duffy’s book Media Law in the United Arab Emirates in 2016. He taught journalism at Kennesaw State University in Georgia, and served as a fellow with the Center for International Media Education at Georgia State University. Duffy also wrote occasionally for Al Monitor about journalism and free speech in the Middle East. He served on the Columbia University Freedom of Expression project and traveled to Pakistan in May 2016 as a Fulbright scholar. You can find Matt Duffy’s website here. 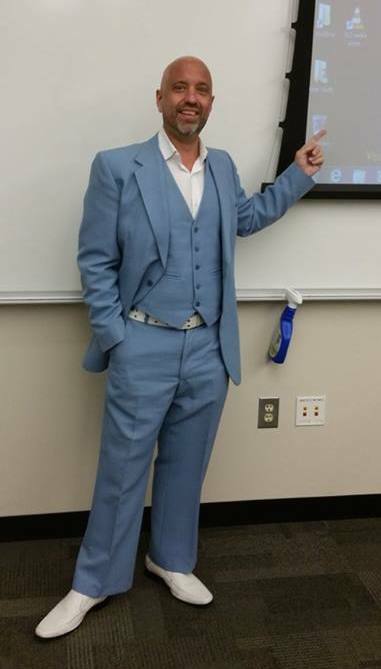 The Oxford Editing founder, the late Dr. Matt J. Duffy, demonstrating his inimitable sense of style for the classroom.